Pokémon GO Castform is known as the “Weather Pokémon”, as it has the ability to change forms depending on the current weather. Castform has a max CP of 1486. Its stats are well balanced, but are all on the low side. Its ATK (139) is not strong enough for combat, and its defensive stats will not make Castform last in a battle as well. Its DEF (139) and STA (140) are too low. Castform has 4 known forms. During normal weather, it is in Normal form and is a normal type. During harsh sunlight, it is in Sunny Form and is a fire type. During rain, it is in Rainy Form and is a water type. During hail, it is in Snowy Form and is an ice type. These forms are affected by the weather in game, and spawn in their respective weather (See Spawn Patterns below for more details). With its subdued stats, Castform will not have a place in any of the tier/rank lists. Its ability of have 3 other forms is a great addition to the meta, but we just don’t see how it could integrate well in the current meta. Nonetheless, Castform as a Normal type takes super-effective damage from Fighting types and double resists Ghost, as immunities do not yet exist in the game. As a Water type in its rainy form it takes super-effective damage from Grass and Electric and resists Fire, Ice, Steel, and Water. As an Ice type in its snowy form, it takes super-effective damage from Fire, Rock, Steel, and Fighting types and resists only itself, Ice. Lastly, as a Fire type in it’s sunny form, it will take super-effective damage from Rock, Ground, and Water types and resist Bug, Grass, Fire, Fairy, Steel, and Ice types. It may be just a Pokémon for Pokédex collection, but we do welcome Castform with open arms into the game. Castform does not evolve from or into any other Pokémon. Based on the most recent data, Castform has a different move set for each of its forms. Castform does not change form based on the weather, but stays the form of the weather it was captured in- So you can try to collect them all! Each move set seems to favor their STAB attacks, except the Sunny form with Solar Beam, as it deals more damage and covers its Water, Rock, and Ground weaknesses. Hex, however, on the normal form Castform would also be beneficial for the type coverage against Ghost types and deals very close to the same DPS if you were really planning on using this Pokémon to battle. As mentioned, it is not expected to be a beast in the meta-game but it could be fun to play around with. Castform has proven to have some very interesting patterns when it comes to how it is spawned. Since it spawns as the form it will be, Sunny, Snowy, or Rainy, in the weather those forms correspond to, we need to look at which weather system spawns what- and how to get the normal form Castform. You may have noticed Snowy form, unlike the other weather unique forms, spawns under two conditions. 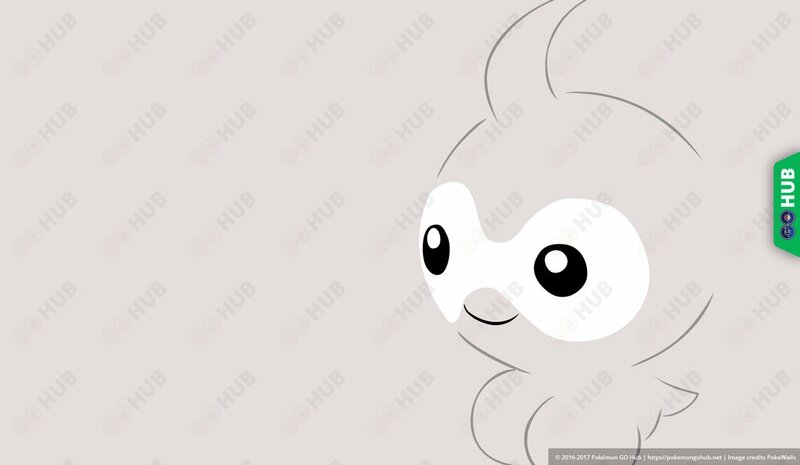 This is speculated to be a measure to prevent Snowy form Castform from being region exclusive, as not every place in the world receives Snow weather. It has also been observed that spawns that happen BEFORE a weather change will retain the form and CP they were in before the weather change. For example, if Sunny weather turned to Windy, for a short period of time after the weather change, the Sunny form Castforms will still be around until they all despawn, while the new Castform spawns will reflect the new weather. But with this in mind, you would have to catch a Castform in every weather, which may take a while for some people, but would be fun to do anyway! Note that only Castform’s Normal form/type has a shiny variation. All the other 3 forms have no obvious change in color. A normal Castform is gray with a single wisp extending from the top of its head. It has white eyes and black pupils. A shiny Castform is light pink with yellow eyes and black pupils. Castform first appeared on the 357th episode of the Pokémon series (Advanced Generation: Episode 83) titled, “Unfair Weather Friends”.